Best-in-class businesses put a lot of effort into marketing and sales enablement, making it easier for their teams to bring in the right type of customer, communicate value, shorten the sales cycle, and retain those customers long-term. However, an area of sales that is often overlooked is channel management. It turns out that oversight could be costing your company a lot of potential revenue. A recent research report from Aberdeen found that roughly a third of businesses support indirect sales channels, but not all companies excel at providing their channel partners with the technology, guidance, and information they need to sell effectively. There’s a clear difference between the companies who have mastered the art of channel enablement and the companies who throw the channels a bone every once in a while. Especially in larger B2B organizations, there’s often too much disorganization and misalignment to deliver up-to-date information and tools to each partner, leaving the channels to fend for themselves. At best, each partner comes up with their own marketing message and sales tactics, creating a disjointed company image and wasting significant business resources on redundant materials and efforts. At worst (and far more likely), the channel partner moves on to other products that are easier to sell. Individually, these statistics are noteworthy, but when added together, they create the potential for a huge shift in profits for businesses. With a 28% shorter sales cycle, your sales reps can use their time far more efficiently, interacting with more prospects. With better marketing materials and more guidance on messaging, it’s no wonder that sales reps will begin accepting more leads from the marketing team. And with more resources and assistance for sales reps, they’re going to have an easier time meeting their quotas. 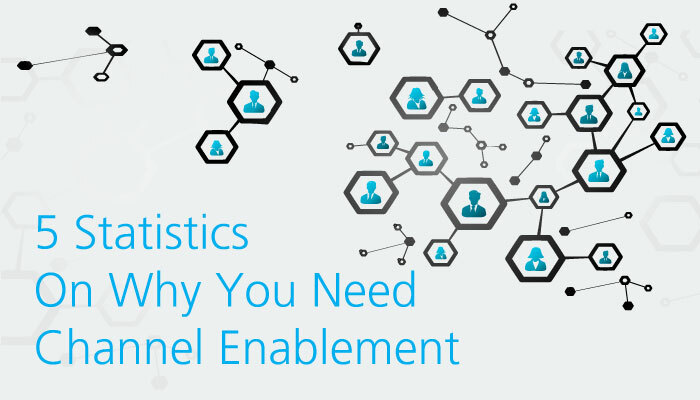 In short, it’s better for everyone, and it all starts with channel partner enablement. So back to the big question: are you enabling your channel partners? It’s easier than you might think. In fact, you can include your channel partners, your marketers, and your sales reps in one enablement effort by investing in a sales enablement platform that centralizes all of your resources, sales intelligence, and collaboration in one place. Click here to read the full Aberdeen research report on channel enablement or learn more about the available solutions for starting your own enablement effort with Accent by contacting us today.